Dolphin is probably the best Gamecube and Wii Emulator for Mac that exists, it’s open source and somewhat regularly updated so you won’t be stuck high and dry like the old GameCube Gcube emulator. Dolphin supports playing both Wii and Gamecube discs and downloadable games, and it has your typical emulator features like save states, controller support, and various graphical enhancements such as anti-aliasing. Update: Dolphin is now easier than ever to use, just download the precompiled version here, leaving the technical process below behind. You can still use the methods outlined below if you’d like, but it may be unnecessarily complicated just to get the Dolphin emulator running. The first thing you’ll need to do is download and install both Xcode and MacPorts, they are both pretty simple to install if you haven’t done so already. Now you should be done and you can finally launch Dolphin and emulate Gamecube and Wii games on your Mac. As I said, this is a somewhat laborious and technical process so the average Mac user might not want to bother. If you get confused along the way, you can checkout the GitHub code project for Dolphin, which provides installation instructions as well. I have heard murmurings that Dolphin will come to the iPhone and iPad eventually too. With the Wii gesture games, this would be a natural fit, so let us cross our fingers that it happens. This is not working for me. Terminal does not know what to do with the command “sudo port install scons”. I admit I don’t know what all this stuff means or how it’s all supposed to work. It seems like this guide is for more advanced users who know what all this stuff means. I was trying to type things in terminal also. I downloaded and installed MacPorts, but the program is nowhere to be found? I found some MacPorts system files that it installed, but not the app. I’ve installed Xcode 3.0 and MacPorts 1.9.2 on my macbook 2ghz Intel running Leopard. When I enter “sudo port install scons” into the terminal it returns “Unrecognized action “sudo”. When I enter “export PATH=/opt/local/bin:/opt/local/sbin:$PATH”, it returns with “Unrecognized action “export”. Same “Unrecognized action “sudo” error with the last recommended command as well. Not sure where to go from here. * Click on your terminal. If you get the same thing, you are still or again in Macports interactive session, type CTRL + C, or type quit. Backed up and reformatted (other issues were present that necessitated this) and it worked this time around, but it failed to install zlib under my having an incompatible Xcode version (3.0) claiming that I need 3.1. 3.0 is what my OS x disk installed. Now I am having no luck with scons verbose=true wxconfig=/usr/local/bin/wx-config. @Parakeet:Yes I have MacPorts and Xcode installed. Everything went fine up to that last command. The last step doesn’t work for me. Can’t remember what the error said and I’m not at home so I can’t check right now. Pity though, wasted an hour on this. I don’t know why they can’t make pre-compiled versions available. Awesome, thanks albinoz. Much appreciated. How would you play? keyboard and mouse? OK — Got everything compiled/installed and it looks good, but Gamecube discs wont mount on the Mac. Is there a trick to working with discs, or is it only for ROMs? Also, my eject button on the keyboard has stopped working since installing Dolphin. Would this be related? Got through everything except the last step; when I go to build, it does a few things and then starts giving me a handful of errors saying “error: expected unqualified-id before ‘=’ token”. The build then terminates and kicks me out to the prompt. Any ideas? Is WxWidgets supposed to take forever to install? xD. Actually it’s the build process that takes long, not really the install phase. Ya, im getting the same errors as Mewball and Fallen, any idea how to go about fixing this? Yep, spent all day and then it fails on the last line with the same errors as others. Any solution? The Gamecube & Wii Emulator *for Mac*? I’m 100% sure it’s not only for Mac, and that’s what the title is telling me. We can deduce there’s a Mac version if it’s being posted on this site. I get the same error message as Abhi. Please help!! I have snow leopard, with xcode 4. so it doesn’t have macosx10.5.sdk, it has macosx10.6.sdk instead. Is there any way to do this without xcode? Its not free unless your a developer. Is there another way to do it? keep getting this error when i do the last command (scons verbose=true wxconfig=/usr/local/bin/wx-config) help ? I did, but whenever I open the file it crashes like i open the file, it lags for a bit, then crashes. I don’t know what to do :(. What can I do in this regard? Please do not use “–enable-universal_binary” with OS X 10.7 ! It’s 64x only !!! Im having problems with getting .gcm files to load on the precompiled dolphin emulator for my mac. Ive downloaded a couple different .gcm’s and a few different versions of dolphin from this site but every time I click the .gcm file, dolphin opens along with another blank window labeled at the top “clearing code cache” and then quits unexpectedly. Do you have a solution to this or any insight into whats wrong? Im having problems with configure the build environment..
configure: WARNING: Disabling precompiled headers due to universal binary build. HELP! what do i do? I checked out wxWidgets and I have the directory, but there’s no build subdirectory, so cd wxWidgets/build fails. Is this guide outdated by now? so i downloaded the precompiled version, and some gc roms, but i cant get them to open in the emulator? do i need to do all of the technical stuff for the precompiled too?? 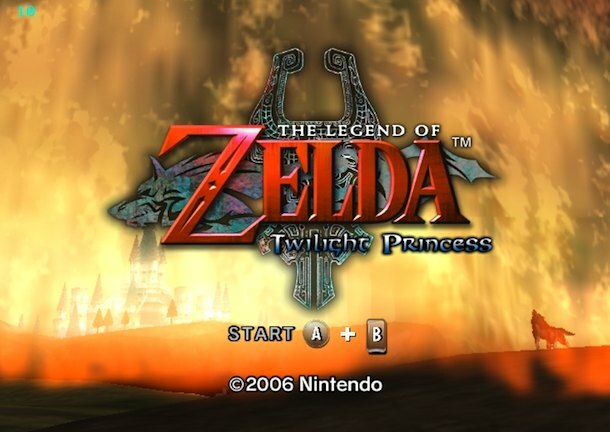 I’m actually tying to get twilight princess, i have dolphin installed and have dowlonaded the game twice from 2 different sources, wont work and i really dont know where to go from here, help! Anyone know the.nest controller to use for a gamecube emulator on the mac? I try to use a ps3 and it wont work. I have trird an.xbox 360 but the website to download the software to make the controller compatiable isnt working. Any advice?